With the progress of science and technology over recent years, we have become able to synthesise almost everything - from computerised doctors to clones of sheep - science has ventured into it all. However, given the current climatic state of Mother Earth, a question often arises on the environmental friendliness of artificial grass. This ever-growing in popularity product has been subject to such questions ever since it was first introduced in the 1960s, but still many people remain unsure as to whether or not it is beneficial for the environment. There are many reasons why a fake lawn can help improve your local environment and surroundings - keep reading to find out why. 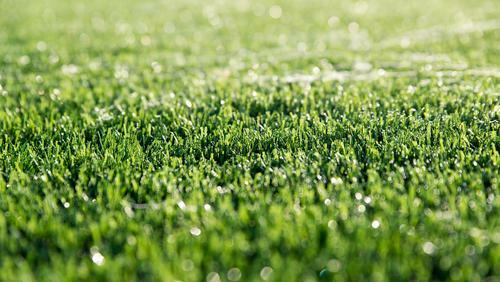 An argument that is often raised by the critics is that artificial grass is not natural and is, therefore, unable to perform the natural functions that grass is supposed to perform, like converting carbon dioxide to oxygen. While the fact that fake grass cannot reduce carbon dioxide levels is true, what is important to remember is the upkeep of natural lawn uses excessive electricity and even petrol for certain types of lawn mower - creating additional air pollution. What's more, real grass needs watering regularly, lawn feed and various chemicals just to keep it looking aesthetically pleasing, which can be just as detrimental to the environment and wildlife. As previously mentioned, natural grass requires the use of fertilisers, pesticides and weed killers for general maintenance and upkeep. Chemistry suggests that such products make use of chemicals that contribute as much as 8% towards global warming. Fake grass not only saves the environment from such chemicals but also protects you and your children and pets from the effects of these fumes and unnatural products. Natural grass gardens, obviously, require water- a lot of it, actually-to maintain their lush green appearance all year round. It has been estimated that one square foot of grass requires gallons of water per year to achieve this. Imagine how much water you could save by making use of artificial grass, instead, on a garden spread across a hundred square feet. The world is moving towards an age of water scarcity, signs of which are apparent, already. Make use of fake grass, instead of the natural one, and you will be doing your part to reduce the amount of water wasted superficially. Many critics hold that following a heavy rainfall, excess rainwater has nowhere to go, but this simply isn't true. Our range of grasses are designed to not just look like the real deal, but to drain water like it, too. With that in mind, rainwater will not pool, it will drain through to the ground below without any unsightly puddles - or the mud that comes with them! We are all responsible for ensuring our surroundings are environmentally sound, but you can rest assured that artificial grass will not be detrimental to your outdoor space and the wildlife that resides there. Want to know more? Contact our team here at Artificial Lawn Company today - we are here for you every step of the way.